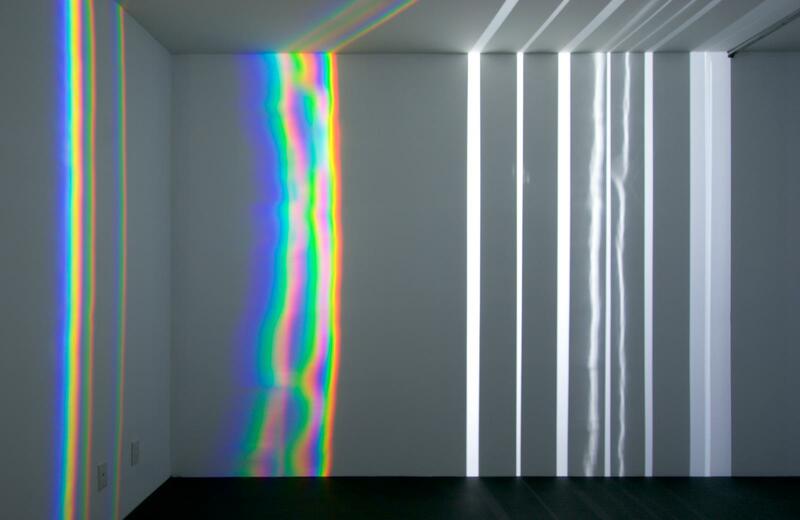 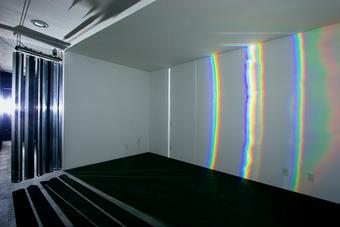 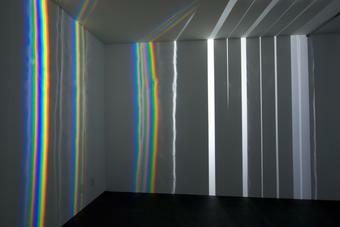 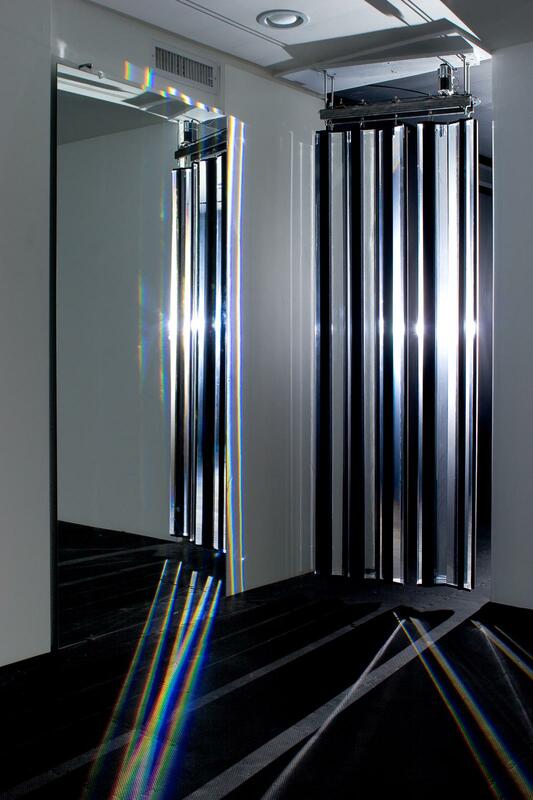 Hanging in a doorway, a curtain of rotating acrylic glass prisms is illuminated from behind by a beam of light. 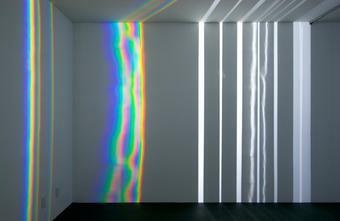 Clusters of rainbow-coloured strips, refracted through the prisms, pass around the space, embracing walls, ceiling, and floor. 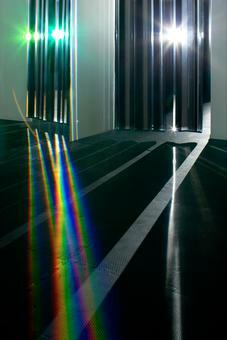 White light is reflected off the prisms and spills through the curtain. 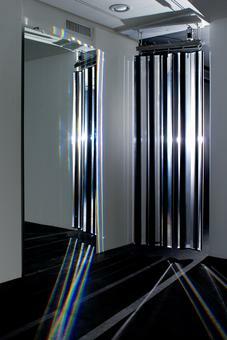 A large mirror that sits adjacent to the curtain creates a second set of reflections.